We offer CPR, First Aid and AED Training as an approved American Heart Association Training Site. 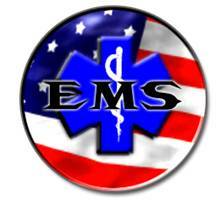 We also offer Emergency Medical Services (EMS) Continuing Education classes for EMT's and Paramedics. On Easy St. Just west of Madera Road. From the 118 fwy, exit Madera Road S., proceed south on Madera Road to Easy St. (1 street light south of Cochran), make right turn, enter second driveway on rt.